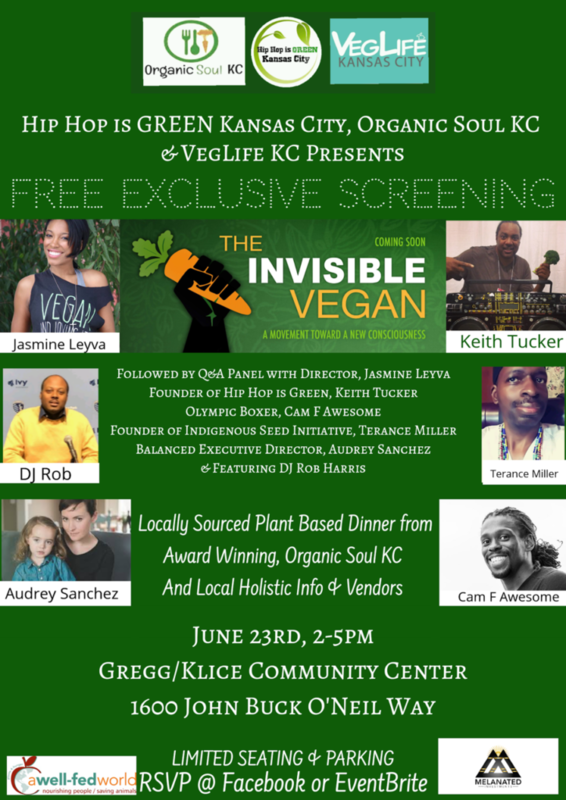 Hip Hop is Green KC, Organic Soul KC & VegLife hosted a Premier Screening of The Invisible Vegan, a 90-minute independent documentary that explores the problem of unhealthy dietary patterns and highlights the possibilities of a plant based lifestyle on reversing the trend. Starring Jasmine Leyva, Cedric the Entertainer, John Salley, Keith Tucker of Hip Hop is Green, Stic of Dead Prez, Ama T Opare, Tracye McQuirter and many more! 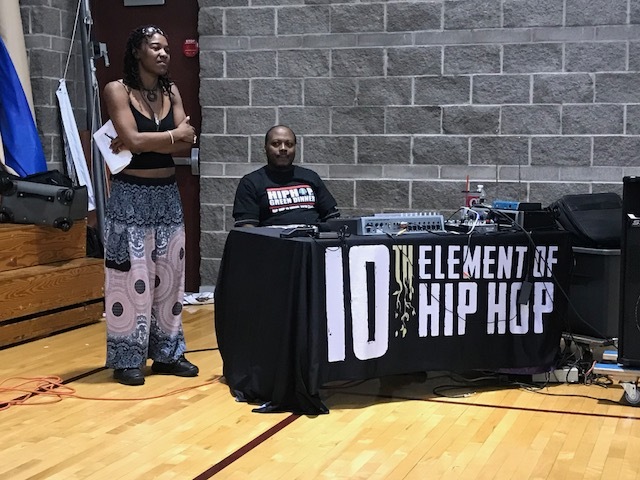 The screening was followed by a Panel Discussion with the Director, Jasmine Leyva, and Keith Tucker of Hip Hop is Green. Free Plant Based Dinner from Award Winning, Organic Soul KC and tastings offered by Local Artisans and more! 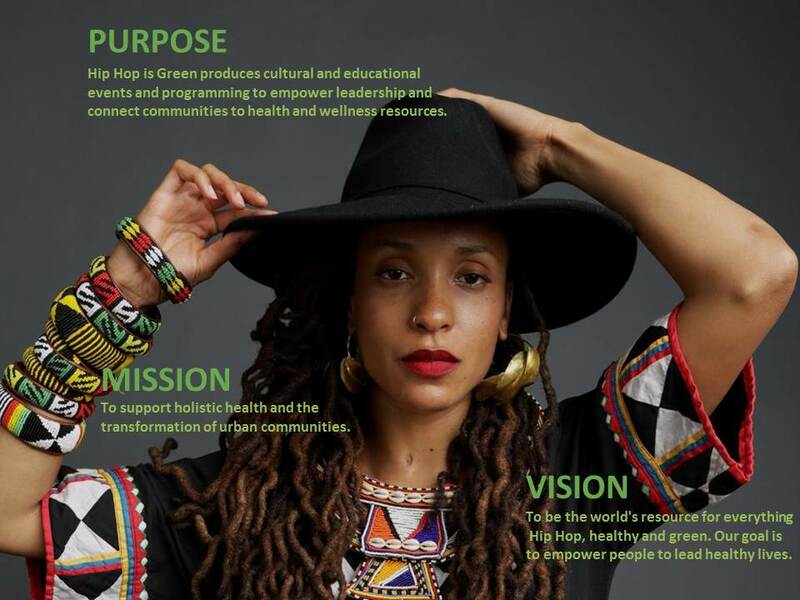 Izula Jade Maximilian: I give thanks to All of our Visionaries, Supporters and Sponsors who have worked together to help make this vision of bringing the Invisible Vegan to our city possible and I look forward with gratitude to what the future holds. 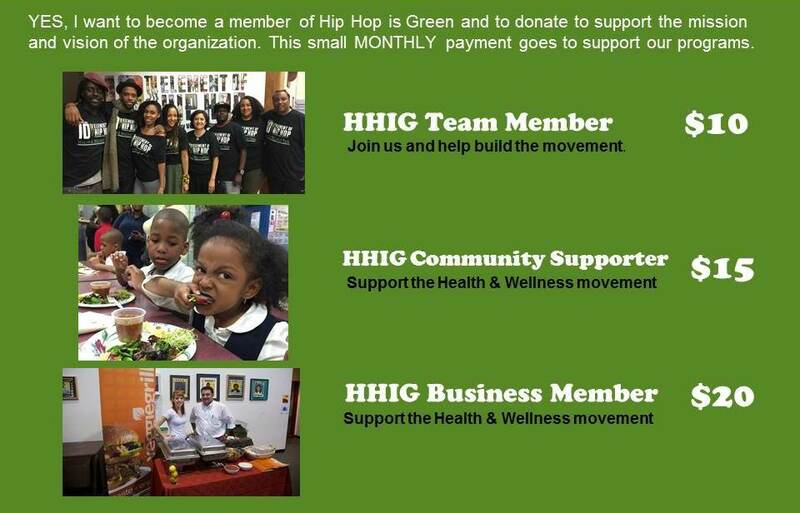 Big thanks to Keith Tucker, Founder of Hip Hop is Green, for opening the doors of possibility. Your support, leadership, vision and heart is golden, for real! Jasmine Leyva, Filmaker of The Invisible Vegan, thank you for Living life as Art and sharing your story in such a powerful way for the next generation. Thank you, Cam F Awesome for your Shining brilliance and being a beacon of hope, humor and happiness. Thank you Audrey Sanchez of Balanced, for giving us simple strategies to advocate for changing the food system on a structural level. LaDonna Johnson of Organic Soul KC, for being a soul sister in solidarity and sharing your gifts and passion for nourishing the people. Dave Swarts of VegLife Kansas City, Give thanks for your presence, sensitivity and compassion to really walk your talk in a good way. Our DJ Rob Harris,I give thanks for your heart, faith and joy in bringing all the elements together. Big Thanks to Melanated Investments, A Well-Fed World, and Vegan Outreach in helping us all to reach higher heights. 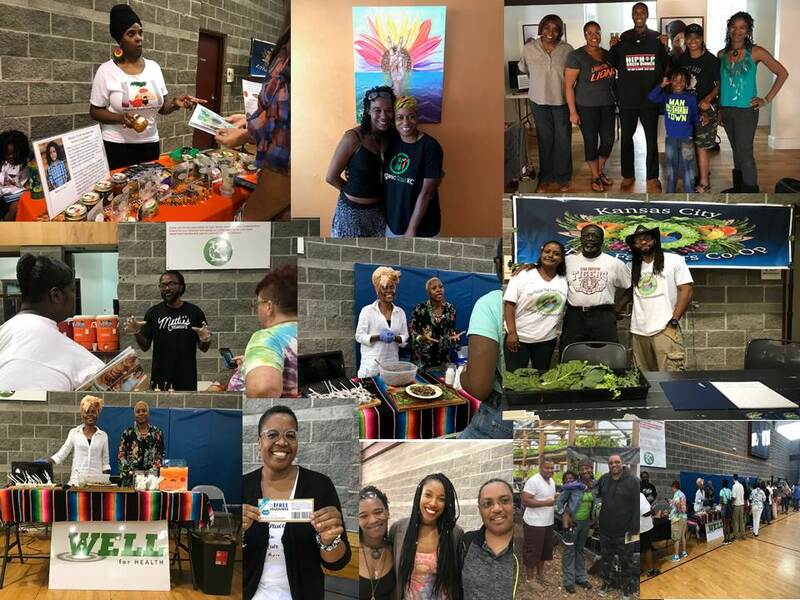 And deep gratitude for all of our vendors and volunteers for showing us that everything we need for liberation and healing is right here within this city, it is right here, right now, within us. Perfect Peace Tai Chi, LLC. And we wish to thank everyone that came out to the Invisible Vegan film showing and our first Kansas City Hip Hop is Green Event! Our work is a dedication of service to you our community and we plan on continuing to build with you. For everyone who did not make it and for those who would like to support our work check our campaign crowdfunding page. We only have a few more days left to go so contribute as much as you can and share with as many as you can.